Sri Lanka is one of the most enchanting and attractive destinations for a traveler. It is a mythological history, beautiful greenery of nature and a traditional culture town of tribal forks. Sri Lanka is not just a place, it’s a city that is filled with experiences, adventures, and lively emotions shared by all those people, who have come to see the stunning view of the sunset and feel the moment of the cold breeze of the sea. 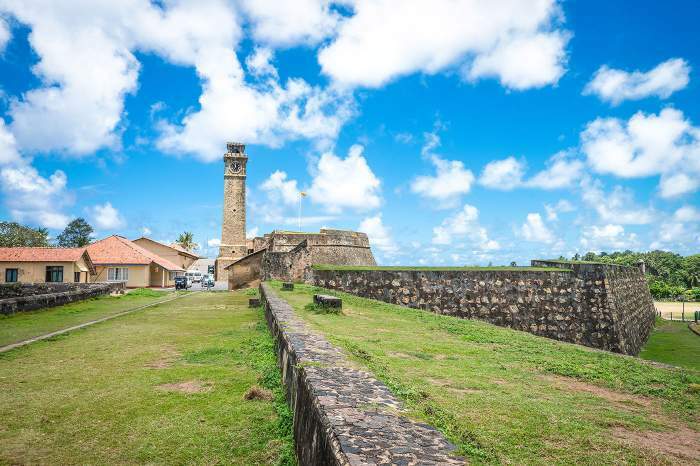 For people who don’t travel much, it’s one of the cheapest travel destinations that are not the only budget-friendly but also to help you acquire knowledge about the Asian culture, wildlife, historic monuments, and lifestyle of the people of Sri Lanka. There are many heart-throbbing tourist attractions, where you can visit and enjoy the authentic flavors of Sri Lankan cuisines. The country’s coastline is sugar-coated with many amazing beaches and the highlands have bucket-full of beautiful places such as Polonnaruwa, Adams Peak, Pinnawala Elephant Orphanage, Sigiriya Rock Fortress, and many more. Sri Lanka’s journey by train is considered the most convenient way to travel and enjoy the panoramic views of the backdrop of Sri Lanka. These trains were built during the Colonial British rule so as to transfer coffee from one place to another. Trains are not only comfortable but are a time-saving transport tool especially for tourists, who want to travel to various places due to their limited period of holidays. Sri Lanka Train journeys provide a unique experience to travel and enjoy the beauty of nature. There are many trains that revolve throughout the country and each train is different in terms of cost, facilities, machinery, speed, and functioning. Let’s take a look at some of the most famous sightseeing tours of Sri Lanka, which will give you unique experience of untouched countryside and thrilling coastline. 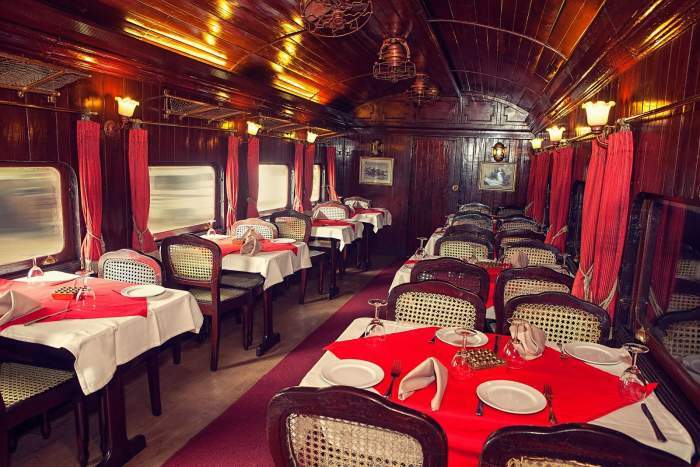 The Viceroy Special is one of the traditional steam trains that provides you with a fantastic Sri Lanka train tours. With a nominal fee of 897 LKR, it will provide you with all the basic amenities such as comfortable seats, clean toilets, no air conditioning, and a canteen for general eatables. This train offers you luxurious amenities like drinking space, smoking area, dining cabinet with full course meals, board music, Wi-Fi networking facility, and much more, but for this, you have to spend a little more. This is basically an island train that runs along the sea coast. 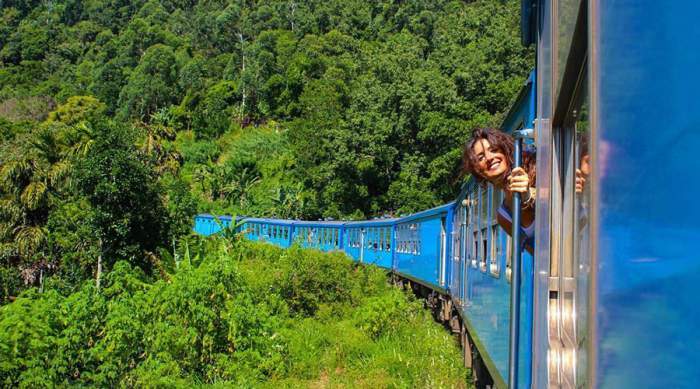 It provides Sri Lanka’s best mountain rail travels. 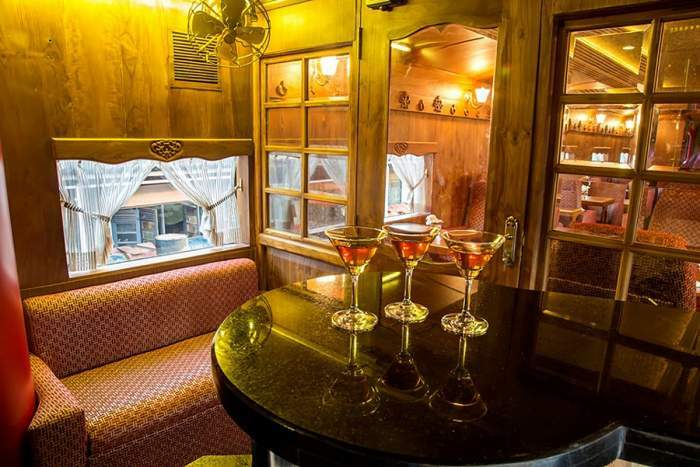 This train reflects the magnificent and luxurious lifestyle as well as the authentic charm of ancient history. It fits you with the grand facilities with 24 convenient seats, as well as air conditioning with dining cabinets, and bar, Wi-Fi, and high-quality sound systems. The journey of Sri Lankan train is incomplete without its presence and functioning. 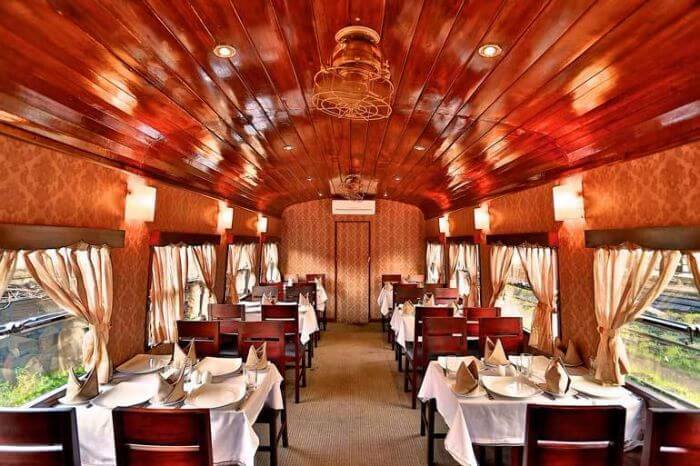 This train will help you connect and meet with new people and you can enjoy the delicious cuisines of Sri Lanka along with your trip across the country. Its greatness can be seen from its economical service, which is much better than the Viceroy Special. Ticket Charge: A minimum spend of US$300 is required. T1 Railcar was created to give a magical experience of the beautiful train ride of Sri Lanka, made by English Electric Company UK. This rail has made efforts to recreate the entire rail car as a symbol of traditional background in addition to the excellent modern machinery. This special train can carry up to 32 passengers and is most suitable for family trips and corporate holidays. Its transportation is time-saving and cost-effective that provides you experienced and heartwarming staff offering you a comfortable travel experience alongside the guidance throughout the train trip. 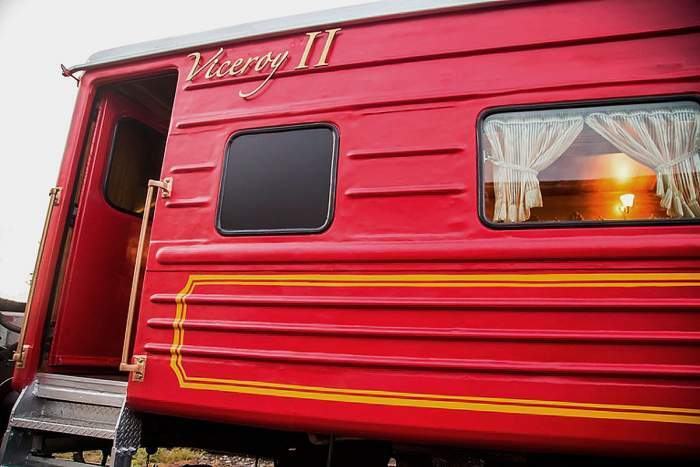 This train won’t disappoint you with its facilities of elegance and class. 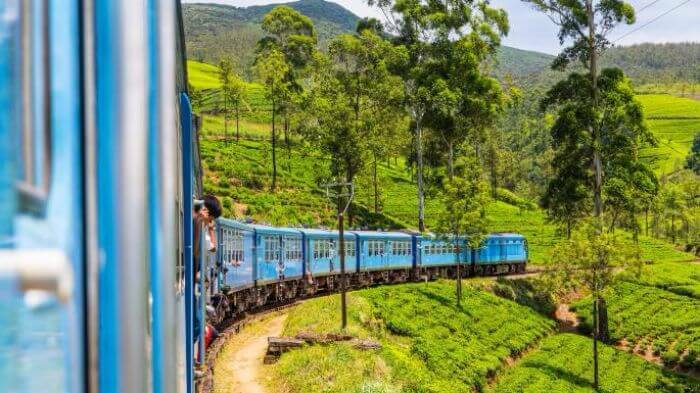 Move ahead to see some of the most amazing routes of Sri Lanka and the routes through which you can catch the train while you go for an outing and get to know about this amazing land. 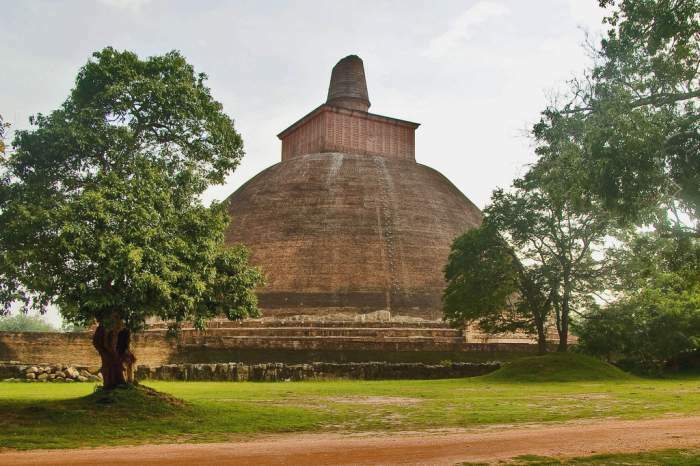 The Northern Route usually consists of pilgrims and devotees who visit Anuradhapura Temple or Jaffna. This is one of the common long route traveling train to the north of Sri Lanka, which is enjoying the best services with the spectacular views of northern Sri Lanka by the Railway Staff of Sri Lanka. It travels all the way from the coastal location to the mountainous hills to take the passengers and helps them to experience the taste of true Sri Lankan beauty. This train travels all the routes from Colombo to Galle so as to take passengers to the South of Sri Lanka. This is a great mesmerizing journey by Tamil devotees and food sellers by selling their special Sri Lankan street food, which includes ‘Wade.’ There are many private trains offering convenient seats with delicious food. 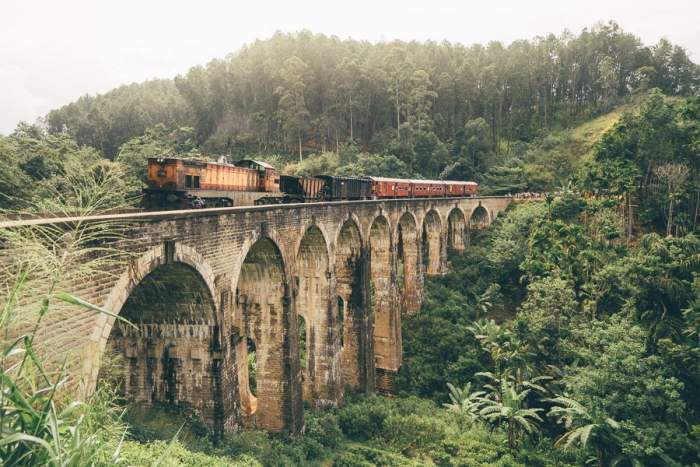 This bridge is proud of the Sri Lankan Train journey because it’s one of the oldest bridges which was built in 1900 with rocks and steel. The Demodara Nine Arch Bridge offers an ideal panoramic view of travelers besides its wonderful creation. Travelers can enjoy this bridge while traveling on the opposite side or by going over the bridge in trains. Sri Lanka Railway has equipped its rail system in various sections. The increase in the level of the class increases the quality of the service provided by the professional rail authority. The experience of the rain has been divided into the following subgroups. The First class rail journey from Nanu Oya to Ella is one of the lovely an impressive Sri Lanka Train Journeys experience. This class will present you with all the luxurious facilities such as world-class seats and windows with curtains, along with healthy well-stocked food in all flavors, dining cabinet with drinks, all kinds of bars, and much more. 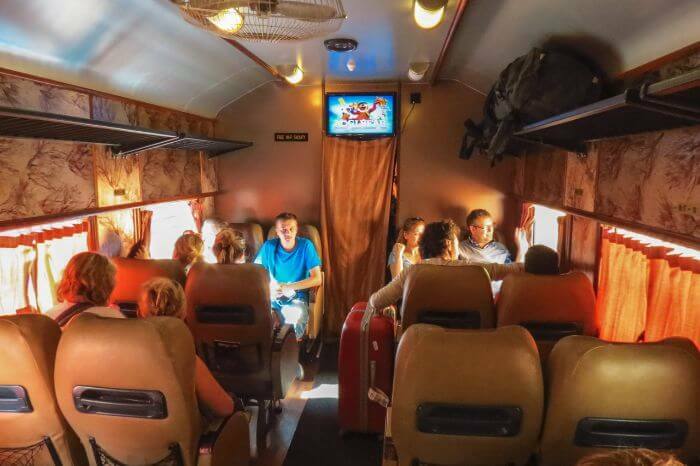 Visitors from Europe, Australia, and America usually consider first class tickets as an option to travel, so as to enjoy a long route trip to Sri Lanka. This ticket costs 1000 LKR and to avoid the risk of non-reservation of your seats, make sure that you book your tickets a day before your train trip. Second class train cabinets are more crowded with the middle class working parents, grandmothers with their beloved grandchildren and common tourist forks from the neighboring cities of Sri Lanka. This class will provide you with basic amenities such as comfortable seats, doors and windows, working fans, clean toilets, and a common canteen which provides you with general food and drinks. People traveling in this cabinet would like to open their doors and windows to enjoy the beautiful scenery of highlands, waterfalls, beaches along with the spectacular glance of nature. Although the cost of this class is slightly cheaper, still it keeps changing from place to place. For example, to travel candy from Weligama to Kandy, you have to pay 340 LKR. This class is famous for its cost rate. The only difference you’ll find is with the level of facilities it offers as there are common seats and windows with no facility of fans. If you are traveling a short distance from Colombo Fort to Hikkaduwa, this class is more convenient and will charge you a nominal fee of 160 LKR. 35 LKR is charged From Hikkaduwa to Galle and from Kandy to Hatton, it costs 160 LKR. This cabinet is more suitable for those who missed their train. This class will also give you the most amazing natural scenes from your window, where you can enjoy your train journey by looking at nature’s beauty and wildlife without boredom. Each visit describes a different experience and each scene depicts a unique set of stories made of Sri Lankan forks. Next article6 Best Villas In Manali That Vanish All Your Stress! 11 Beautiful Places In Japan That Are Hard To Believe Really Exist! Travel The The Modern and Ancient Beauty of Shanghai!